You go to the driving range and hit balls for hours and you still make the same mistakes on the course. You buy books about the golf swing and purchase systems that promise to teach you a "revolutionary" swing model, but you end up in a worse place than where you started. Golfers have a hard time translating success on the practice tee to success on the course because they are not challenging themselves properly, and not building real skills. We are going to show you how to fix this problem with our extensive library of learning material. Functional swing drills that a golfer of any level can perform. Learn how to be productive with your practice time, and become a more skilled ball striker. A library of games that will make your practice sessions more fun and challenging. You will learn to build skills and confidence that you can bring out to the course. All of our content features cutting-edge information from some of the top golf coaches in the world. This isn't the same old stuff that you've heard before. When you have the right information, and are given proper ideas on how to spend your practice time, good things start to happen. All of a sudden you go from mindlessly hitting balls to challenging yourself and building real skills. This is how the best golfers in the world bridge the gap between practice and performance on the course. We have one of the top short-game specialists showing you how to play all kinds of shots around the greens with your wedges and putter. Learning how to play these shots properly will save you precious strokes.​ Stand over your ball with confidence instead of fear! Our videos won't give you a dozen swing thoughts that leave you confused and indecisive on the course. Our coaches give you drills that a golfer of any level can perform, but more importantly understand. Everything is communicated clearly. Our games are designed to make your practice sessions more fun and rewarding. This is how you truly bring performance from the practice tee to your actual rounds. We've also built a library of audio recordings and eBooks that will continue to grow. We are continually adding content from some of the top golf instructors in the industry with information you can trust. Practical Golf Insider is also a buying club. We've secured discounts from hand-selected golf brands for our members. You are fully protected by our 100% Satisfaction-Guarantee. If you aren't satisfied with our information, just let us know and we'll send you a prompt refund. This is an introductory price for our earliest members. We will be increasing the price for access when we add more content. 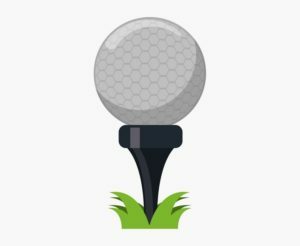 Will I Become a Better Golfer Automatically? No way! But if you take some of the information you learn here, and put in some work, you absolutely will. We have gathered some of the most popular and widely-respected teachers in the game. Their information is well researched, and they have been hand selected for the quality of their knowledge. If you are not satisfied with the quality of the content please contact us and we will be happy to refund your money. As we add more instructors and content we will increase the price for membership. If you purchase now you will get lifetime access and won't have to worry about that! What Kind of Golfer Should Sign Up? Our information is designed for a player of any level who wants to improve. If you have become frustrated with your game and want to add more structure and purpose to your practice then we can help! If you have any more questions feel free to send us an email through our contact form here.